• MOVIES AND GIFS, MADE FOR YOU: Get automatically created movies, collages, GIFs and more from your photos. Or easily create them yourself. 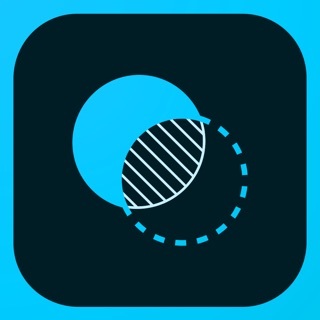 • ADVANCED EDITING: Transform photos with a tap. Use intuitive and powerful photo and video editing tools to apply content-aware filters, adjust lighting and more. • LIVE ALBUMS: Share your latest photos with Live Albums. Select the people and pets that you want to see and Google Photos will automatically add photos of them as you take them, no manual updates needed. • SHARED LIBRARIES: Share without sharing. Grant a trusted person access to all of your photos. • REDISCOVER: Get collages of photos that you took a year ago on this day. • CAST: View photos and videos on your TV with Chromecast support. • FREE STORAGE: Back up unlimited photos and videos for free for up to 16 megapixels and 1080p HD and access from any device and photos.google.com – your photos are safe, secure and private to you. You can also upgrade storage for your Google account, used for Original Quality photos and videos, Google Drive and Gmail by subscribing to Google One, an expanded storage plan. Subscriptions start at $1.99/month for 100 GB in the US. Pricing and availability can vary by region. Storage subscriptions purchased in-app will be charged to your iTunes Account, and automatically renew unless auto-renew is turned off at least 24 hours before the end of the current period. Subscriptions and auto-renewal may be managed by going to iTunes Account Settings after purchase. Continued use of GPS running in the background can dramatically decrease battery life. Google Photos doesn't run GPS in the background unless you give us permission by turning on optional features that require this. We've made improvements to our suggested actions so that you can get things done faster. I’d like to be able to edit my live photos without having to stop them being live. Also if you could bring over the bounce feature of the live photos on iPhone. Most of my photos are live and it's a bit annoying having to sacrifice this when it doesn't really seem that complicated. Otherwise it's fantastic! If you want to play your videos in full quality as you are used to on apple devices you must download the videos firs to apple photos and than play there. Google photos play in low quality only and cant be set up to play in original quility even though are saved in original resolution. Second, you must be always online. It is not possible to make local mirror of selected content event though you have huge free device memory. I'm using the app for a long time and it diserve all Stars I can give. Most is for me upload any think to cloud and if I delete it there you can choose if you want to delete it from your phone also. Great feature.